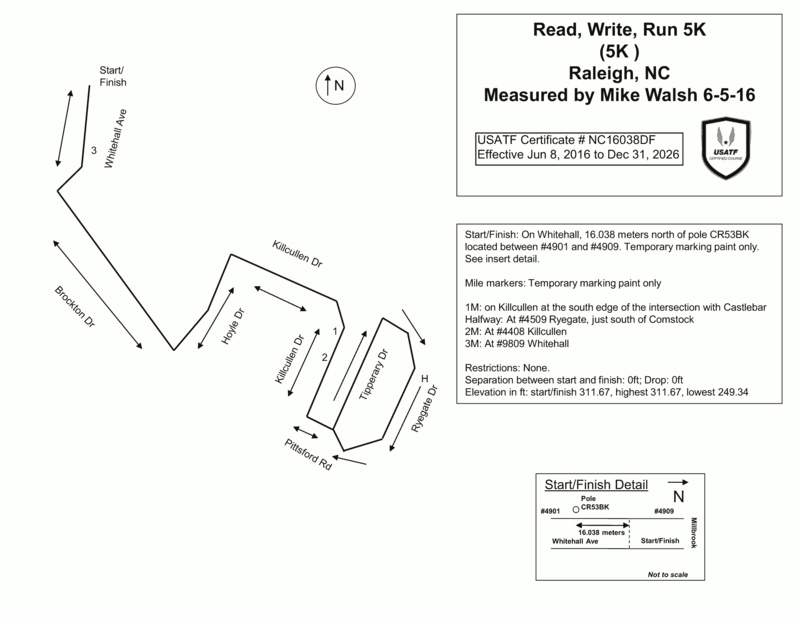 Last year Robert Rappole led all finishers over this USAT&F certified course in 18:57 while setting a new course record. Tiffany Bjornstad led the women in 22:24 breaking the women’s course mark by over a minute. Now in its third year this event is put on by the Berean Community Center located at 2400 East Millbrook Road in North Raleigh. The Garden on Millbrook will be the site of all the pre-race and post race activities, but the actual course will start and finish on Whitehall Road – half a block away. This year a 1/3-mile Kid's Dash run has been added for children 12 and under. Profits from the race will enable The Berean Community Center 5k to benefit students in the Millbrook community of Raleigh. The Center's objective is to encourage members of the community to engage in a healthily and active lifestyle and raise awareness of the importance of access to tools that promote literacy for all children. With your registration we hope to raise enough money to provide backpacks and school supplies for 150 children of the Millbrook community. Entrants in the 5K have a choice of entering as a competitive or recreational runner. Competitive entrants will receive an official time and be eligible for awards. Recreational entrants will not receive official times, but can either time themselves or see their times on the digital clock at the finish line. The entry fees are $25 up to and including July 13th, $30 from July 14th until August 10th, and $35 on race day. Children ages 12 and under can sign up as a recreational entry for free or as a competitive entrant for $15. There is no cost for children ages 12 and under in the Kid's Dash. The entry fee includes a t-shirt, guaranteed to all those entered by July 31st, the exception being that children ages 12 and under who entered for no cost as a recreational entrant in the 5K or as a participant in the Kid's Dash do not get a shirt.. After that date, shirts will be will be "as available." In the 5K awards will be presented to the top male and female finishers overall and to the top finishers in each of the following age groups: (both sexes) 12-under, 13-19, 20-29, 30-39, 40-49, 50-59 and 60-over. Pre-registered entrants can pick up their packets and late entrants can register on Thursday, August 9, at Run n' Tri Outfitters located at 11831 Retail Drive in Wake Forest between 4-7 pm OR on race day at the race site beginning at 7 am.